For the Polish fencer, see Jerzy Wójcik. 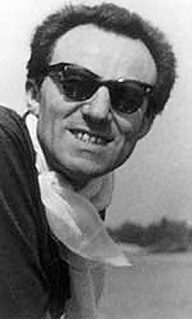 Jerzy Wójcik (12 September 1930 – 3 April 2019) was a Polish cinematographer, author of screenplays and film and television director,  professor of University of Silesia in Katowice and Leon Schiller National Higher School of Film, Theatre and Television in Łódź. The University of Silesia in Katowice is an autonomous state-run university in Silesia Province, Katowice, Poland. It should not be confused with a similarly named university in the Czech Republic, the Silesian University in Opava. The Leon Schiller National Higher School of Film, Television and Theatre in Łódź is the leading Polish academy for future actors, directors, photographers, camera operators and TV staff. It was founded on 8 March 1948 in Łódź and was initially planned to be moved to Warsaw as soon as the city was rebuilt after its destruction during World War II and the Warsaw Uprising. However, in the end the school remained in Łódź and is one of the most prominent institutions of higher education in the city. He was born the son of an officer in the 1st Regiment of Podhale Rifles, major Andrzej Wójcik. At the beginning of Second World War, in September 1939, together with his mother and brother Marian, he was evacuated to Lwów and then returned to Nowy Sącz. After the war, the Wójcik family lived in Boguszów in the Sudeten Mountains. Boguszów-Gorce is a town in Wałbrzych County, Lower Silesian Voivodeship, in south-western Poland. Prior to 1945 it was in Germany. In 1955 he graduated from the Cinematography Department at the National Film School in Łódź and began working in the "Kadr" film team. He received his diploma in 1964. In 1956 he worked as a second cameraman under the direction of Jerzy Lipman on the pictures for Andrzej Wajda's "Kanał". KADR is a major Polish film production and distribution company, founded in 1955 and still producing films as of 2016. Between its founding and 2003, KADR released 150 films in total, including many classics of Polish cinema. A camera operator, is a professional operator of a film or video camera. In filmmaking, the person designing the lighting is the cinematographer or director of photography. A camera operator in a video production may be known as a television camera operator, video camera operator, or videographer, depending on the context and technology involved, usually operating a professional video camera. He made his debut as an independent cameraman in Andrzej Munk's "Eroica" (1958). Then he carried out, among others cinematography for Andrzej Wajda's "Ashes and Diamonds" (1958), "Mother Joan of the Angels" (1961) and "Pharaoh" (1966) by Jerzy Kawalerowicz, "Westerplatte" (1967) by Stanisław Różewicz and "The Deluge" (1973) by Jerzy Hoffman, and finally "Angel in the Closet" (1987) by Stanisław Różewicz. Andrzej Munk was a Polish film director, screen writer and documentalist. He was one of the most influential artists of the post-Stalinist period in the People's Republic of Poland. His feature films Man on the Tracks, Eroica, Bad Luck, and Passenger, are considered classics of the Polish Film School developed in mid-1950s. He died as a result of a car crash in Kompina in a head-on collision with a truck. Eroica is a 1958 film by Andrzej Munk. It is composed of two separate stories, each featuring the Polish concept of heroism and a role of a hero. Ashes and Diamonds is a 1958 Polish film directed by Andrzej Wajda, based on the 1948 novel by Polish writer Jerzy Andrzejewski. It completed Wajda's war films trilogy, following A Generation (1954) and Kanal (1956). The title comes from a 19th-century poem by Cyprian Norwid and references the manner in which diamonds are formed from heat and pressure acting upon coal. In the years 1968-1970 he collaborated with Yugoslavian directors. He directed two feature films - "The Complaint" (1991) and "The Gateway of Europe", (1999) - to which he also wrote scripts. In the years 1976-1985 he also worked as a television director - he created several performances of the TV theater, among others "Joan of Arc" (1976) and "Report" (1977). He was the author of scripts for the TV theater and the "Adequate Theater". The Gateway of Europe is a Polish historical film. It was released in 1999. In 2001 it received Polish Film Awards for Best Cinematography, Best Costume Design and Best Production Design. He was a professor of film art. In the years 1981-1982 he lectured in cinematography at the Faculty of Radio and Television of the University of Silesia in Katowice, and from 1982 he lectured at the Cinematography Department of the National Film School in Łódź, initially as an associate professor, from 1988 as ordinary professor. He was awarded many times for his work, including Officer's Cross (1998) and Commander's Cross (2005) of the Order of Polonia Restituta, the "Vitae Valor" prize for lifetime achievement at the 3rd Film Festival "Vitae Valor" in Tarnów (2003), Lifetime Achievement Award for "Golden Camera 300" at the International Manaki brothers Film Festival in Bitola in Macedonia (1999). He was the honorary chairman of the Association of Film Image Designers. In 2006, he published the book 'Labyrinth of Light", containing his thoughts and professional memories, in 2017. "The Art of Film" - a collection of lectures delivered in the years 2000-2003 at the University of Warsaw. His wife was the actress Magda Teresa Wójcik, his son is a physicist, set designer and poster artist Tomasz Wójcik. Jarosław Leon Iwaszkiewicz, also known under his literary pseudonym Eleuter, was a Polish poet, essayist, dramatist and writer. He is mostly recognized for his literary achievements in poetry before World War II, but also criticized as a long-term political opportunist in communist Poland, actively participating in the slander of Czesław Miłosz and other expatriates. He was removed from school textbooks soon after the collapse of the Soviet Bloc. He was nominated for the Nobel Prize in Literature four times. In 1988, he was awarded the Righteous Among the Nations Medal for his role in sheltering Jews during the Second World War. Kazimierz Julian Kutz was a Polish film director, author, journalist and politician, one of the representatives of the Polish Film School and a deputy speaker of the Senate of Poland. Tadeusz Łomnicki was a Polish actor, one of the most notable stage and film artists of his time in Poland. He is remembered mostly for his roles in comedies and dramas, as well as for the role of Kordian in Juliusz Słowacki's play of the same title. He was also a notable professor and a rector of the State Theatre School in Warsaw. Man of Marble is a 1976 Polish film directed by Andrzej Wajda. It chronicles the fall from grace of a fictional heroic Polish bricklayer, Mateusz Birkut, who became the Stakhanovite symbol of an over-achieving worker, in Nowa Huta, a new socialist city near Kraków. Agnieszka, played by Krystyna Janda in her first role, is a young filmmaker who is making her diploma film on Birkut, whose whereabouts seems to have been lost two decades later. The title refers to the propagandist marble statues made in Birkut's image. It is somewhat of a surprise that Wajda would have been able to make such a film, sub silentio attacking the socialist realism of Nowa Huta, revealing the use of propaganda and political corruption during the period of Stalinism. The film director presaged the loosening grip of the Soviets that came with the Solidarity Movement, though it has been acknowledged by Polish film historians that due to censorship the script languished in development hell since 1962. The film extensively uses original documentation footage from the construction of Nowa Huta and other subjects of Poland's early communist era, as well as the propagandist/inspirational music of Stalinist Poland. Without Anesthesia is the English-language title for the Polish film Bez znieczulenia, released in 1978, directed by Andrzej Wajda. It was entered in the 1979 Cannes Film Festival. Leon Stanisław Niemczyk was a Polish actor. The Polish Academy Life Achievement Award is an honorary Polish Film Award bestowed by the Polish Film Academy for outstanding contributions to the cinema of Poland. Samson is a 1961 Polish film directed by Andrzej Wajda that uses art house aesthetics to tell a story about the Holocaust. Wajda's World War II film alludes to the Old Testament story of Samson, who had supernatural physical strength. But unlike the Biblical character, Wajda's Samson has great emotional strength. Pharaoh is a 1966 Polish film directed by Jerzy Kawalerowicz and adapted from the eponymous novel by the Polish writer Bolesław Prus. In 1967 it was nominated for an Academy Award for Best Foreign Language Film. It was also entered into the 1966 Cannes Film Festival. Edward Kłosiński was a Polish cinematographer. Witold Sobociński was a Polish cinematographer, academic teacher as well as former jazz musician. Sobociński was a graduate of the renowned National Film School in Łódź. While in college, he was a member of the pioneer jazz band Melomani, in which he played the drums. The Gdynia Film Festival is an annual film festival first held in Gdańsk, now held in Gdynia, Poland. Ryszard Lenczewski is a Polish film and television cinematographer with more than thirty feature film credits. Lenczewski has been the cinematographer for four of director Paweł Pawlikowski's feature films. His work on Pawlikowski's Ida (2014) has been widely recognized, garnering nominations for both the Academy Award and the BAFTA Award. The Polish Film Academy is a professional honorary organization dedicated to the advancement of the arts and sciences of motion pictures. ↑ "Jerzy Wójcik". Internet Encyclopedia of Cinematographers.